It’s time for the chapter to elect board members for 2012! 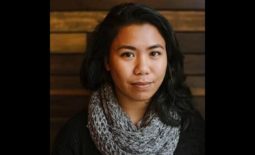 Chapter secretary Venice Buhain will oversee our elections, which will occur in mid-October. Our national office will receive the names of our 2012 chapter board members by Nov. 1. Who’s eligible to run and vote? Anyone whose 2011 membership dues are current as of Sept. 30, and is a Full Member. This means those who receive the majority of their income from or spend the majority of their work time in journalistic work (including freelance), those unemployed members between journalism jobs, or those who have left journalism but were AAJA members and journalists for five or more consecutive years. Associate, Student and Retired members are NOT eligible to run or vote. The board meets at least six times a year to discuss chapter business and plan our two marquee events: Northwest Journalists of Color Scholarship Reception (early June) and the Lunar New Year Banquet & Silent Auction (late January/early February). Board members are expected to participate in these meetings (generally an hour or two) and these two events. What are you looking for in board members? Each board seat has distinct responsibilities, which makes it easier for the group to delegate tasks and for individuals to figure out what fits their skills and talents. Of course, the board can decide to change these duties to fit the needs of the group and the chapter. President: This person is responsible for the overall health of the chapter and represents the chapter at the National Convention and in the Seattle community. 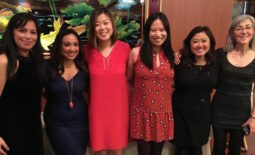 Typical duties: Facilitating board meetings, managing relationships with other organizations, and speaking on AAJA Seattle’s behalf in the community. Vice president, Programs: This person is responsible for the Northwest Journalists of Color Scholarship outreach efforts, judging and reception. Vice president, Events (seat open in 2013): This person is responsible for the Lunar New Year Banquet & Silent Auction. This person also could organize the summer BBQ, social outings and happy-hour mixers. Secretary: This person is responsible for the chapter board’s official minutes and elections. This person also could be the group’s social media manager. Treasurer (seat open in 2013): This person is responsible for managing the chapter’s finances and complying with National’s rules on bookkeeping. This is the only board position that can be held by someone other than a Full Member, i.e. Associate or Retired Members. National Board Representative: This person is responsible for soliciting input from the local board on issues coming to a vote before the National board and reporting back to the local board. This person is required to represent the chapter at the National Convention. We will be holding a chapter mixer sometime in the next month. Board members will be there if you want to ask them questions about serving on the board or the elections process. Oct. 12 is the filing deadline to register your interest in running for a chapter board seat. Send an email to chapter Secretary Venice Buhain, including your name, job title, company and a brief statement (no more than 250 words) on why you’re running. Oct. 27 is the deadline for casting your ballots. As in previous elections, you’ll most likely receive a ballot electronically. If you have any questions, send an email to aajaseattle@gmail.com with “2012 chapter elections” in the subject line. Or you can contact one of the board officers directly. Thanks!